When studious Nariyuki tutors two supergeniuses who are total dunces in their favorite subjects, he'll get a crash course in love! Nariyuki Yuiga comes from an impoverished family, so he's eager to secure a full scholarship to college when he graduates high school. His principal agrees, with one stipulation--he must tutor the two smartest girls at the school and make sure they get into their target colleges! Rizu is a science genius who wants to study liberal arts. Fumino is effortlessly good at literature, but math makes her head spin. Nariyuki is stuck between a rock and a hard place, but who can complain about tutoring a couple of cute girls? On an overnight study trip, Nariyuki and Rizu accidentally kiss! What does this mean for their relationship? How will everyone else react? And why is Kirisu Sensei summoning Nariyuki for a meeting?! One thing's for sure--the last year of high school is heating up! 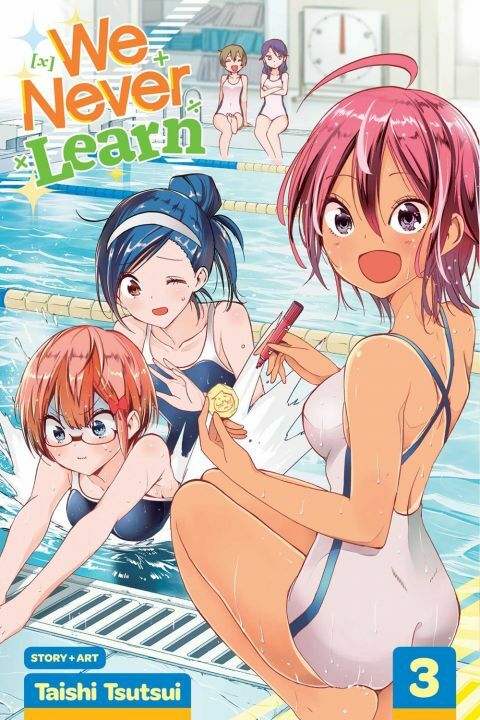 Other products for "We Never Learn" in "Books"